St Michael and All Angels is a curiosity: a splendid, lofty light-filled Victorian Gothic church, abruptly truncated by a raw brick wall because funds ran out. 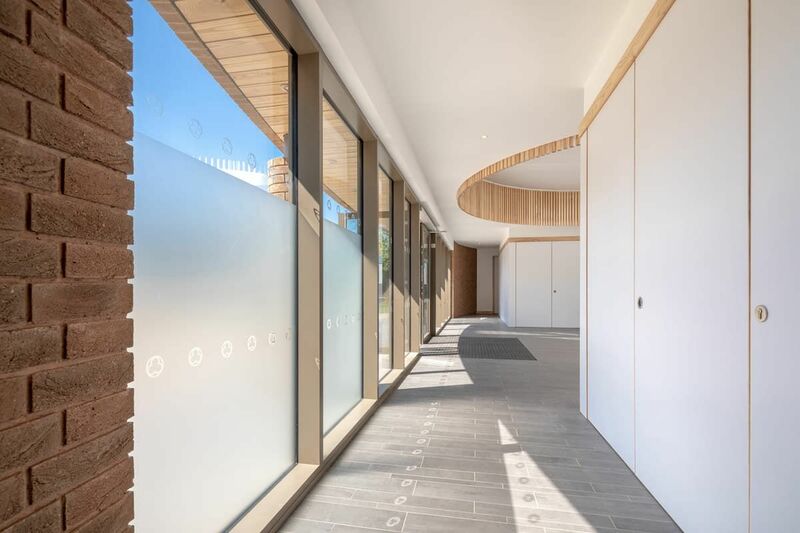 Our front extension creates a new threshold for the church: a large entrance lobby plus those crucial ancillary spaces every assembly building needs like a kitchen, loos, stores and an office. But the new lobby is not just a lobby; it is itself a lofty space with its own special character. 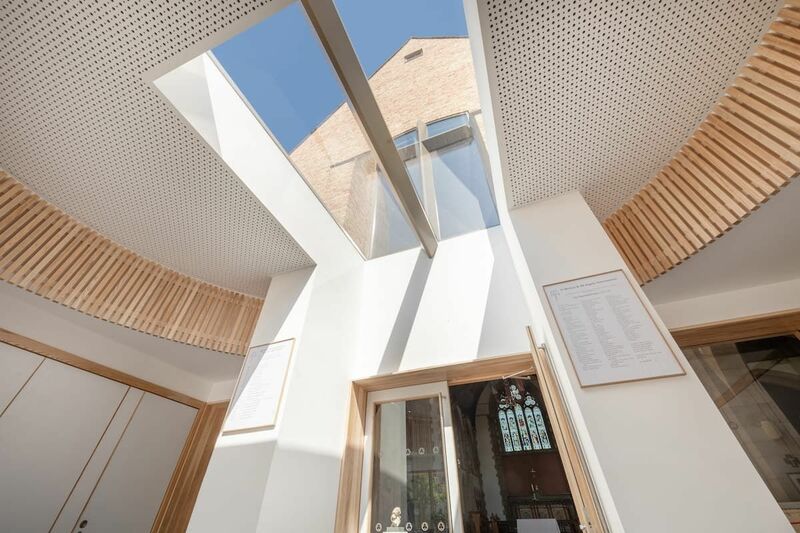 The huge toplight and the circular timber crown in the ceiling give it a numinous quality as befits a pukka narthex. This is the space that mediates between the secular and the sacred. And how to build on the front of a glorious if eccentric church? The new addition doesn’t try to hide the curious historical anomaly of the brick west wall. 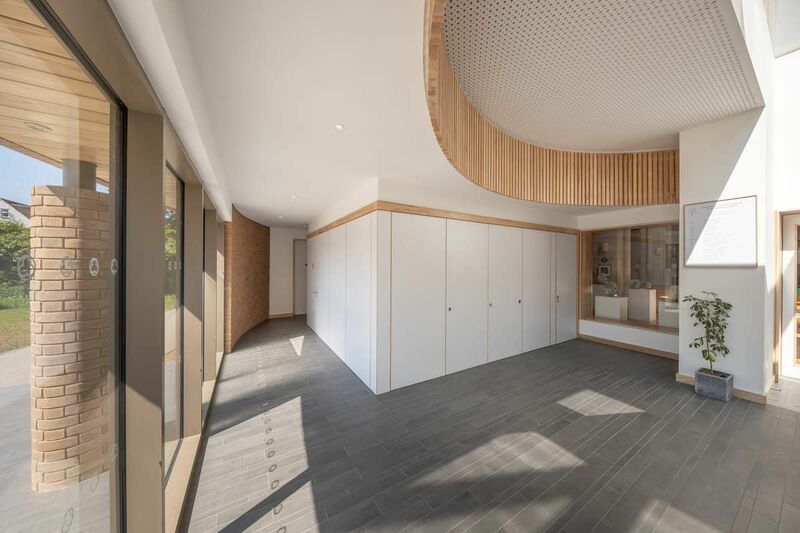 It is designed as if the church interior has oozed out of the entrance doors and set hard as a brick lozenge around an expansive glazed entrance screen addressing the public footpath through the churchyard. 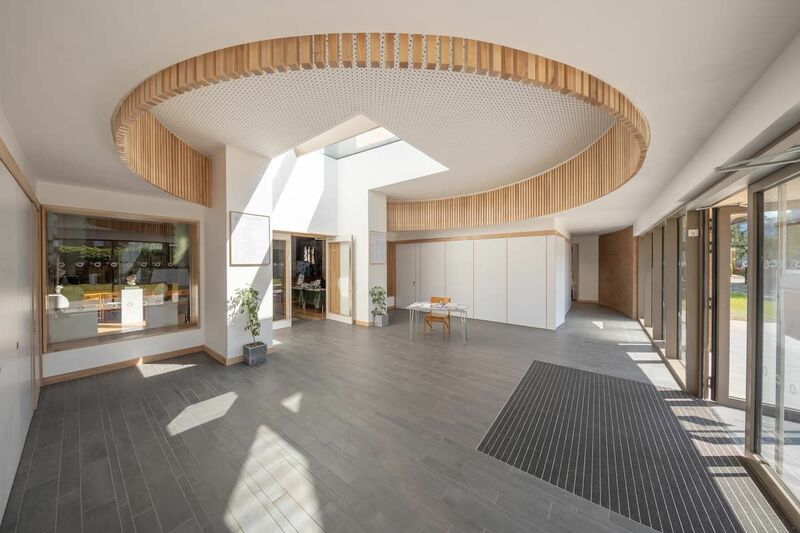 This is a building at once sheltering and welcoming, which opens the church to the world and sets up a progressive sequence of increasingly special spaces from path to porch to narthex to nave. Getting here was not an easy process: building on the front of a listed and loved church is something that requires – quite rightly – very careful scrutiny by multiple bodies, both statutory and corporeal. 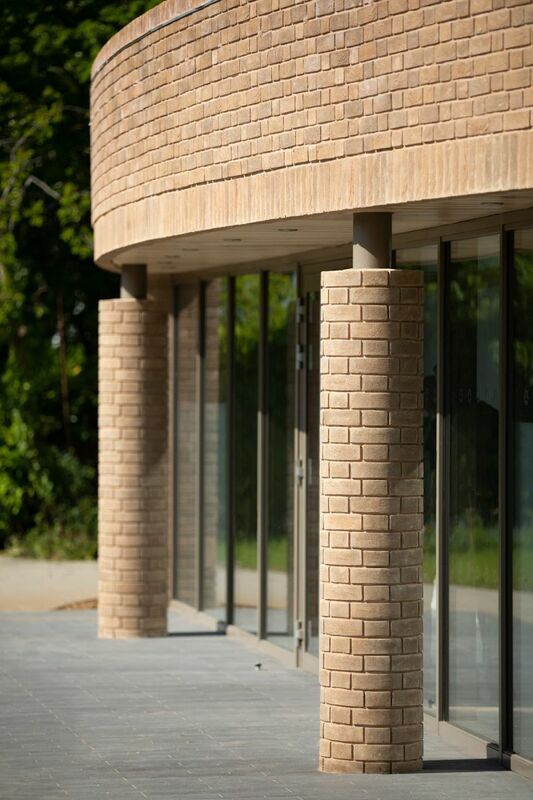 But the design was welcomed by English Heritage, the planners, the diocese, the parish and the locals.